An acquaintance has an idea for a start-up. He offers you a job. You agree, on the condition that you also get a membership interest in the newly formed Michigan limited liability company. 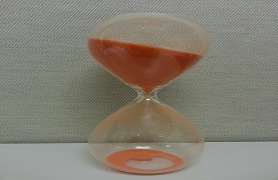 Time passes and more investors come on board via new deals never offered to you. Soon, the company is sold and all the sale proceeds go to the new investors – your interest has been completely subordinated and you are left with nothing. What can you do? That depends on just how much time has passed. The scenario laid out above tracks the facts in Frank v. Linker, a recent decision from the Michigan Supreme Court which clarified the statute of limitations for so-called “minority oppression” claims under Michigan law. Applying Michigan statute 450.4515, the Michigan Supreme Court held that a plaintiff must bring an oppression lawsuit within two years of discovering the claim, but in no event more than three years after the cause of action accrued. That means a minority member has, at most, three years to challenge the oppressive acts of an LLC’s majority members or managers. Frank makes it clear a minority member of a Michigan LLC cannot afford a wait and see approach to oppressive conduct by majority members or managers. While oftentimes LLC members have close personal or even familial relationships which may make involving lawyers awkward and uncomfortable, and internal negotiations preferable, a minority member cannot and should not sleep on his or her rights under Michigan law. Given the short leash provided by the statute – two years after discovering the harm, or three years after the claim accrues, whichever is shorter – a minority member should consult with counsel at the first sign of interference with his or her interest. Waiting too long, as did the plaintiffs in Frank, can lead to losing any claim one might have. If you have questions about your rights as a member of Michigan limited liability company, please contact one of our business litigation attorneys.